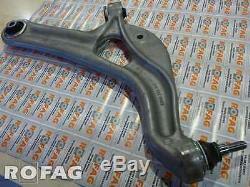 Genuine RENAULT SPORT Clio III 197 & 200 RS WISHBONE SUSPENSION LOWER ARM WITH BALL JOINT. A genuine Renault Sport accessory for the Clio RS. This is a very high quality orginal accessory from RENAULT SPORT. We are an official dealership RENAULT SPORT. We also have a ball joint arm separately. The item "New GENUINE RENAULT SPORT ball joint wishbone lower arm Clio III 3 RS 197 200" is in sale since Wednesday, May 7, 2014. This item is in the category "Vehicle Parts & Accessories\Car Parts\Suspension & Steering\Ball Joints". The seller is "renault_sport_parts_by_rofag" and is located in Lódz. This item can be shipped worldwide.